Every year in my family, we all say the same thing, “We should try something new this year.” Does it happen? Never. We stick to our regular, typical Thanksgiving recipes. Boring, right? I am determined to switch it up this year. (Okay, I don’t normally do the cooking, but I do help!) 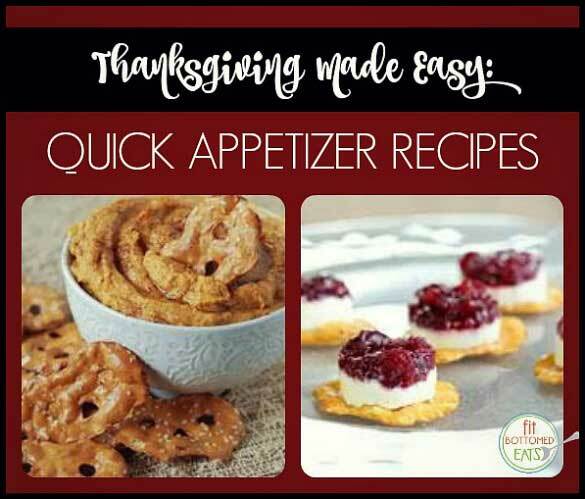 Lucky for me, I found these super easy appetizers from Snack Factory Pretzel Crisps: Sweet Potato Hummus and Cranberry Pretzel Crisps. This is one of our easy appetizers that you'll dig for the holidays (or any time)! In a large food processor (or blender), puree garlic cloves and chickpeas. Add tahini, lemon juice, olive oil, brown sugar, and spices. Puree until smooth. Add sweet potatoes and puree until completely combined. Serve immediately with Original Pretzel Crisps (or your favorite flavor). Refrigerate in an airtight container for up to 5 days. Spoon cheese onto each Pretzel Crisp. Dollop a little cranberry sauce on top. Optional: Use a small, round cookie cutter to press the cheese and sauce into layers. Slide the cookie cutter up and serve as fancy finger food.